💁Here's making your work easy. Listing 10 #Porridge_Recipes which my son used to love 😊 They are not only nutritious but are super #easy to make and are absolutely #delicious. 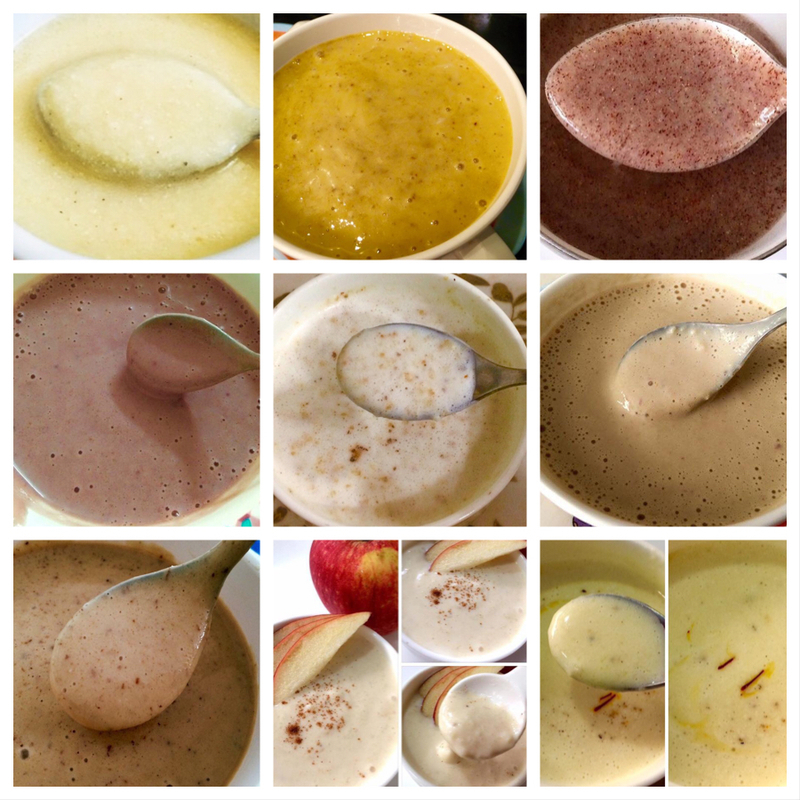 ✅All the below porridge recipes can be given to 🔹7+months babies. For 🔹6+ months, it's recommended to first try individual foods before giving combinations. ❌Avoid honey and cow's milk before one year. ✅Suitable age for all kinds of nuts and dates is 🔹8+ months. ⭐️⭐️Also updating recipe of Dry fruit powder which can be handy and used in all porridges.